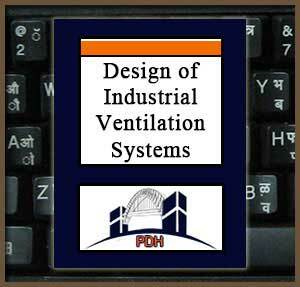 This course is an introduction to the design of industrial ventilation systems. You will be introduced to general design criteria, controls, operational considerations and commissioning. You will also be provided with a more detailed discussion of two of the more common industrial ventilation applications: wood shop facilities and paint spray booths. You will learn about general and design criteria, design procedures, controls, operational considerations and commissioning. For wood shop facilities and paint spray booths you will learn about operational considerations, floor and equipment layout, safety and health considerations, fans and motors, replacement air, controls, and respiratory protection. This course will give engineers and others an understanding of some of the basic materials, systems, and configuration information needed to beginning addressing industrial ventilation systems for real projects. This is an introduction to the basics you will need to begin designing industrial ventilation systems for facilities such as wood shops and paint spray booths. Learn about the eight steps in the procedure for design of industrial ventilation systems. Learn the importance of replacement air and how to provide it in your design. Learn the basics of plenum design with and without perforated ducts. Learn about the controls needed in basic industrial ventilation systems. Learn the importance of operational considerations such as energy conservation, maintenance, noise and respiratory protection. Learn about designing floor sweeps for wood working facilities. Learn the basic configuration of walk-in downdraft and drive-thru cross draft paint spray booths.